This is a personal favourite of ours (and a favourite of just about everyone who has visited so far). Opened in the summer of 2016, this striking building on the banks of the river Garonne is home to an imaginative and engaging interactive treat telling the story of wine across over the ages. Use a free ‘travel companion’ (available in eight languages) to find your way around, drop in at La Cité du Vin’s Belvedere, where you can be awestruck by a 360° view of Bordeaux, dine in the restaurant or try wine by the glass from around the world. This is an ideal stop for the whole family. One of France’s largest historical museums outside of Paris, the museum charts the journey of the Aquitaine region from prehistoric times. The region is vast and varied, stretching from the mountains of Pyrenees to the vineyards of the Médoc, and from Arcachon Bay to the Landes. The museum is as varied and as interesting as its region. Set in a pleasant park, the Museum of Fine Arts is one of France’s largest galleries outside Paris. The south wing is home to paintings from the 16th century through until the 18th century, while the north wing focuses on the 19th and 20th centuries. There are paintings from some of Europe’s finest painters here, including Matisse, Picasso, Renoir and Rubens, alongside works from Bordeaux’s own artists such as Lhote, Marquet and Redo. 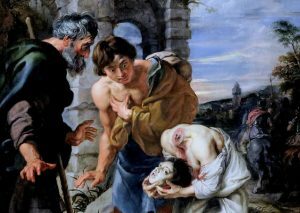 There is also an excellent selection of Dutch works on display, which should impress visitors from Holland. First impressions of this huge concrete building – one of five built by the Germans to house U-boats during World War II – are of a derelict, austere site. However it is now one of Bordeaux’s premier music and exhibition spaces, hosting a variety of activities throughout the year, including art, concerts, opera, jazz, theatre and dance. Check the website for events. A science museum housed in an old storage hangar on the river, there are lots in interactive labs designed to ensure all members of the family learn and have fun. In the heart of Bordeaux’s old wine trading area, this museum allows you to visit an impressive stone vaulted cellar, and learn about old and new methods of Bordeaux wine production and sale. The finale is a tasting session of recommended wines. With over 1300 works from nearly 200 artists, this is one of the most important collections of modern and contemporary art in France. It’s housed in an old colonial warehouse and focuses on emerging art styles. Alongside the permanent show there are temporary exhibitions, art history talks, and learning experiences for the kids. This is a treasure trove of 10,000 items, including an impressive collection from Asia. There is also a large library of photos, including plate-glass. With a wonderful central location, this museum is housed in an unmissable 18th century building with a grand facade. There are lots of interesting curiosities here, including uniforms, furniture, maps and, of course, plenty of impounded items! There are also major works of art, including an impressionist painting by Claude Monet. Small but important collection dedicated to WWII and the Resistance fighters who helped free France from the Nazis. Jean Moulin was a key figure in the French Resistance, escaping to the UK before being parachuted back in to help the Allies. He died after being captured by the Germans in 1943. His ashes were later interred at the Panthéon in Paris in recognition of his status as a French hero. Free entrance. 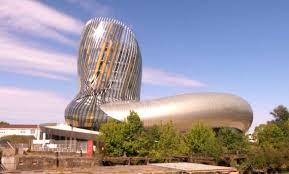 We can help you enjoy any or all of these museums and galleries during your visit to Bordeaux. Why not contact us with your wish list?